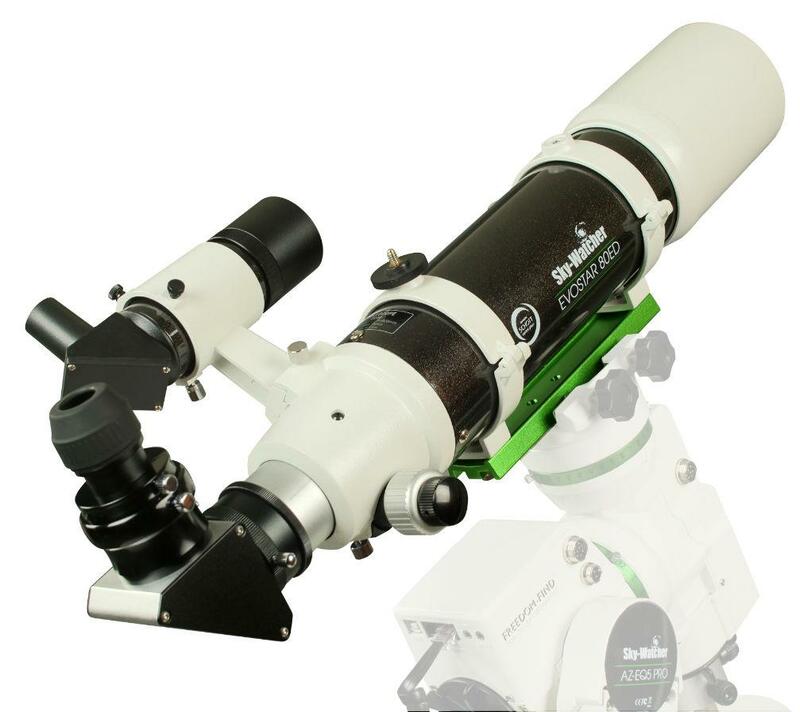 The 80mmED f/7.5 Doublet APO Refractor from Sky-Watcher features a doublet apochromatic lens system with Extra-low Dispersion (ED) glass and Sky-Watcher's proprietary photon anti-rejection Metallic High-Transmission Coatings (MHC) on all air-to-glass optical surfaces. This combination of glass, lenses, and coatings virtually eliminates chromatic aberrations for clear and bright high-contrast images with true color rendition. 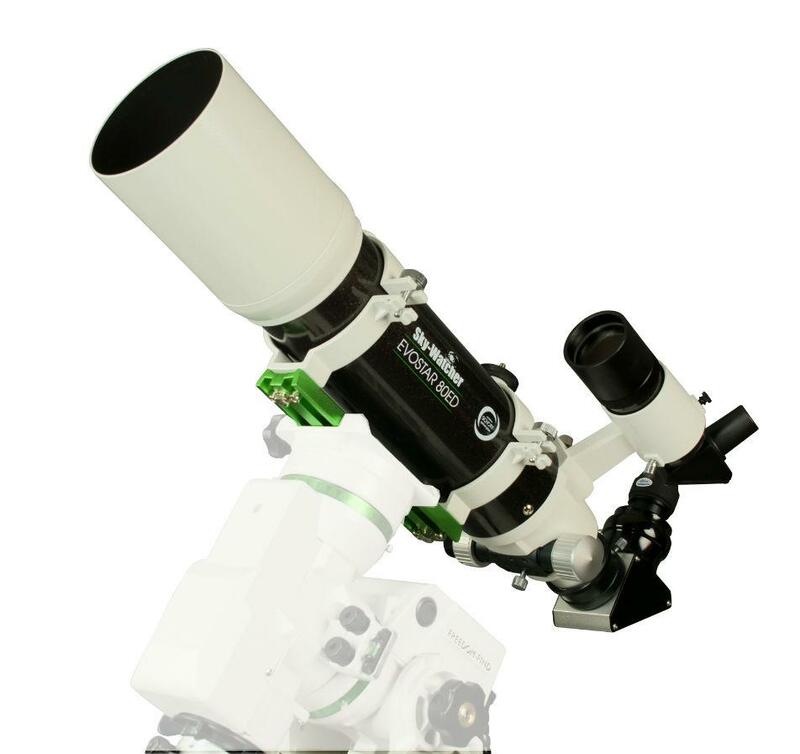 This is a versatile optical tube assembly (OTA) that is well suited for wide-field astronomical observation of prominent nebulae, star clusters and galaxies, or can be used as an astrograph for sky photography, a terrestrial spotting scope or telephoto lens. A mounting cradle-ring clamps over OTA and allows the user to adjust the orientation and position of the scope relative to the mount to optimize viewing comfort and balance, while avoiding interference with other equipment. The scope is offered without a mount or tripod, but a Vixen-style dovetail plate makes it compatible with any alt-az or equatorial mount with a Vixen-style saddle. Its two-speed Crayford-style focuser helps make fine-focusing fast and precise without backlash. 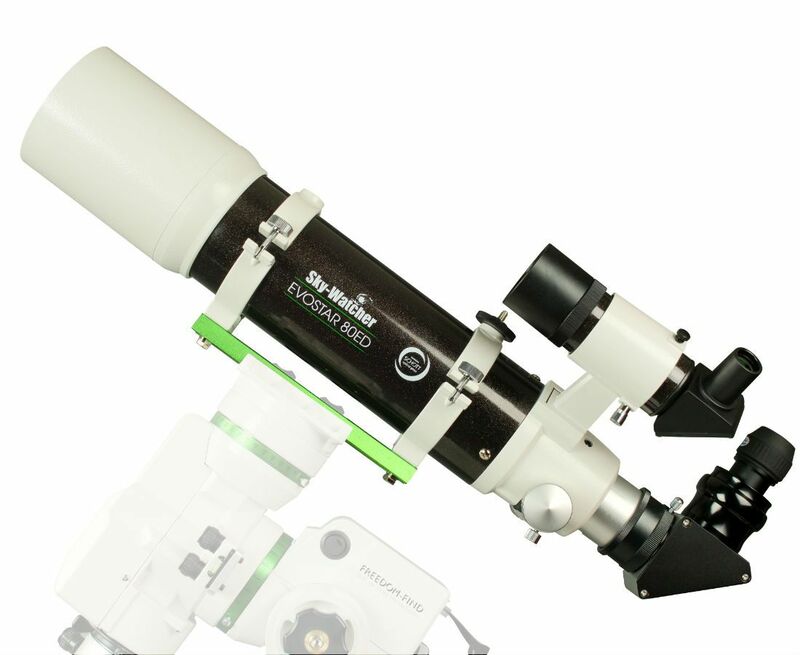 The ProED comes with several accessories to help you get observing faster and easier. 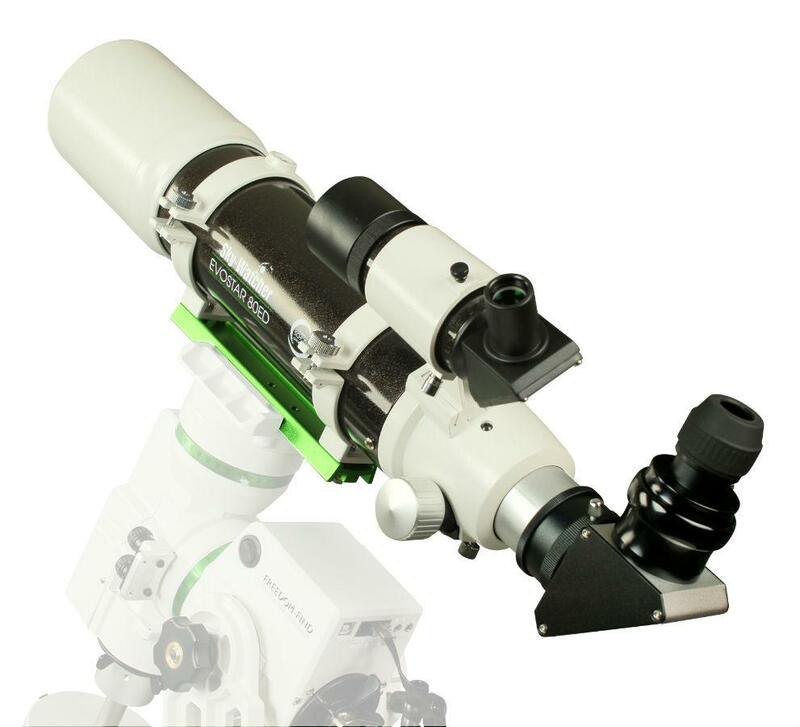 First, are two long eye relief eyepieces that produce 30 and 120x magnification, a 90° star diagonal for more comfortable viewing, and a large 8x50 erect-image finderscope to make finding your celestial objects faster and easier. Finally, Sky-Watcher provides a foam-lined aluminum carrying case to safely store and transport the OTA. Box Dimensions (LxWxH) 25.75 x 15.5 x 11.75"